Cherish Each Precious Day: Scor-Pal Challenge - Mid Month Reminder! I thought I'd pop in today to remind you that you still have time to enter a project in the Scor-Pal challenge! 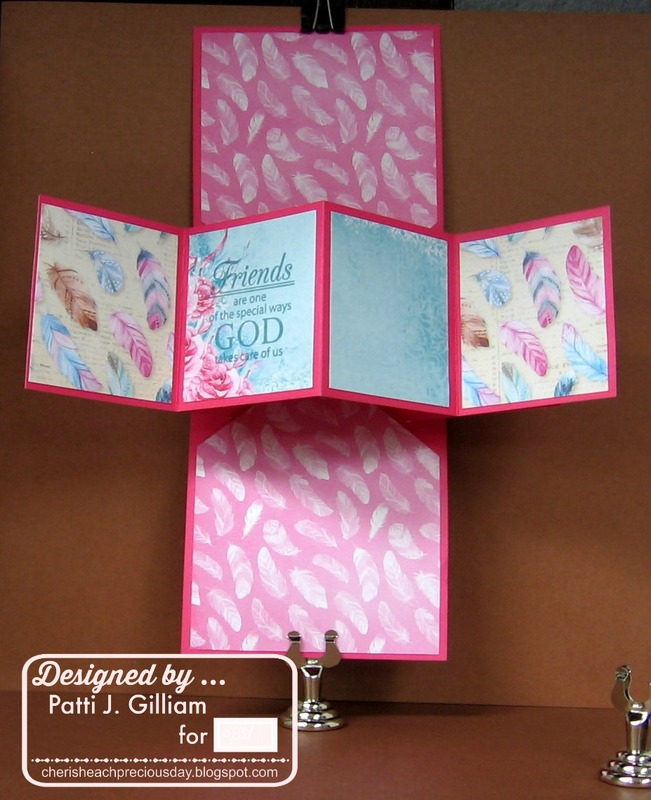 The August challenge is to create a 3-D Card, and of course, you must include more than one fold. We hope that you will decide to join us! Show us your 3-D cards that include more than one fold...you could win the monthly prize! This card is called a Pop and Twist card - what fun!!! Be sure to link up your project in our challenge this month! If we don't have ten entries, no one can win. Last I looked, there were only a couple! What have you got to lose??? We can ALL use Scor-Tape or Scor-Boards, right??? with the scoring grooves at every eighth inch! What a pretty card - love the dream catcher and you nailed the fold. Love all the elements inside. I love this, Patti. Pop and twist cards have a big "wow" factor, and they're so much fun to make. Soooooooo gorgeous! LOVING that dreamcatcher!!!!!!!! 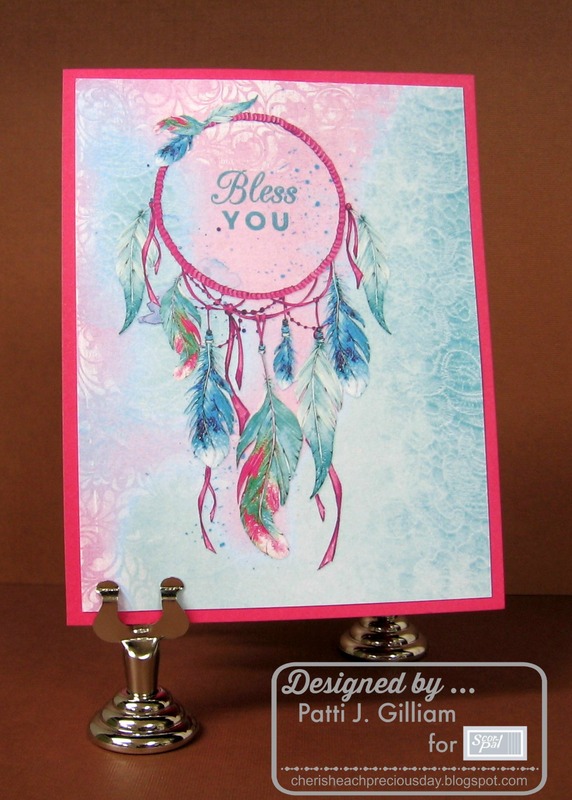 This design has become my favorite kind of card to make Love the dream catcher and the inside papers too. Beautiful background on the front. Patti, I love everything about this card, so nice. Wow Patti, that's a real stunner!! What a beauty and I love the dream catcher design. Awesome colors too. What a gorgeous card front and you have mastered this inside fold! What a darling card. I haven't tried that fold yet. The cover is beautiful executed with the colourful background and nicely coloured dream catcher. Patti this is such a gorgeous card! I love the pop and twist card and that paper works perfectly with that design!